Home » Decor & Design » Storage & Organization » 11 Fabulous Hidden Storage Ideas! 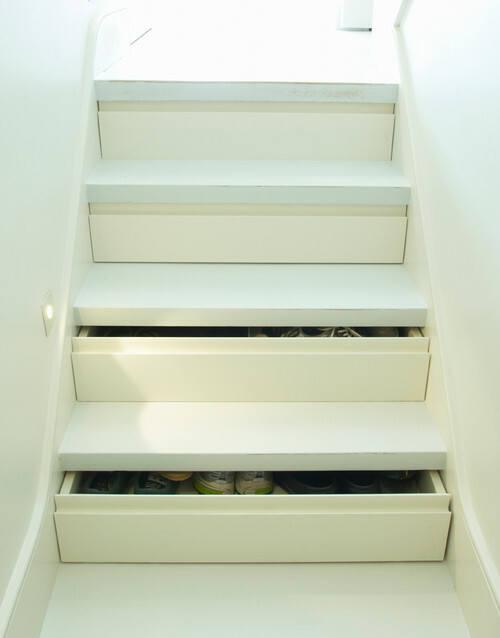 11 Fabulous Hidden Storage Ideas! Sometimes you want a good hiding place to store items, and sometimes you just want more storage space. Well, thinking outside of the box may help you to achieve either… or both! 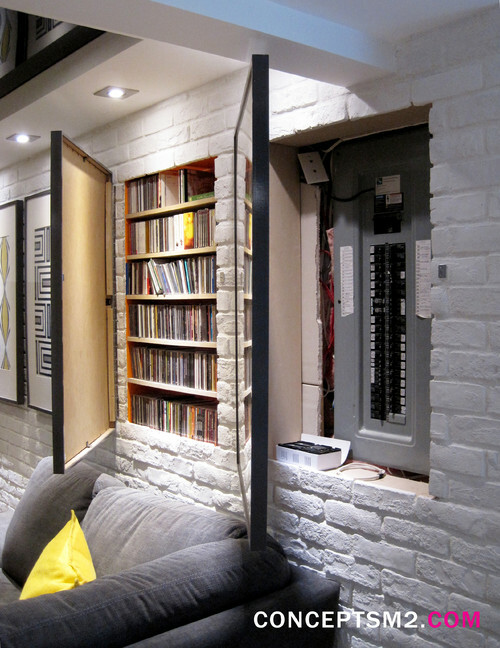 These hidden storage ideas may be the answer to your storage problem. 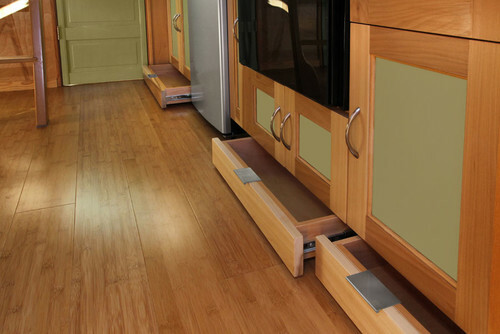 The space beneath the cabinets (the toe kick) is a great space to add a drawer. These extra drawers may serve as a good hiding spot or just extend the amount of storage space that is available in your kitchen or bathroom. 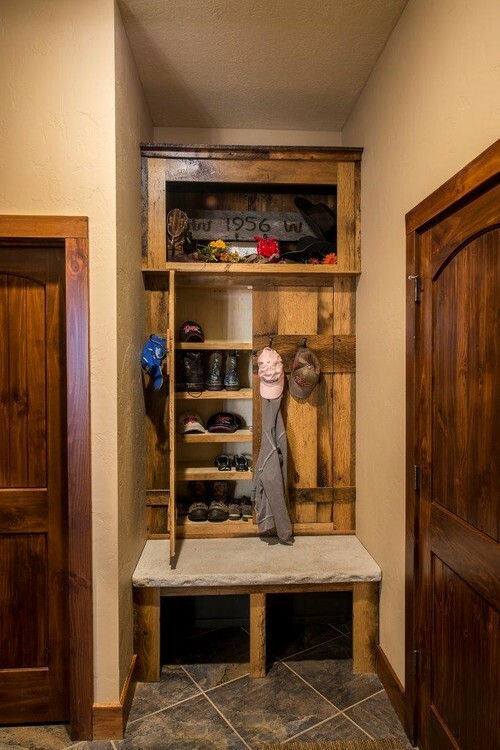 If your mud room or hall tree is the location for many, many shoes and coats, you might wish for a place to hide a few of these items. Consider leaving a little space behind the back of the bench area for shelves or extra hooks. Doing so will, effectively, double your storage space. 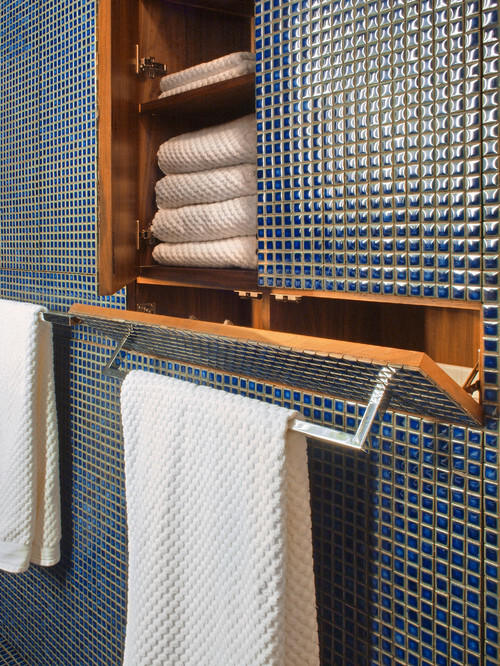 If you need extra storage space in your bathroom, but just aren’t crazy about having visibly recessed spaces, consider camouflage with tiles. This can give lots of storage without ruining the sleek, modern look that is desired. The space beneath the tub can also be a great location to expand bathroom storage. There is typically just enough room to have a tip out cabinet, which is a great space for towel, wash clothes, or soaps. Do you have something ugly that you want to hide. A frame hung with hinges is a great way to solve that problem. Also, consider using this method to conceal keys, money, medication or other items that you need quick access to, but do not want to be easily found. 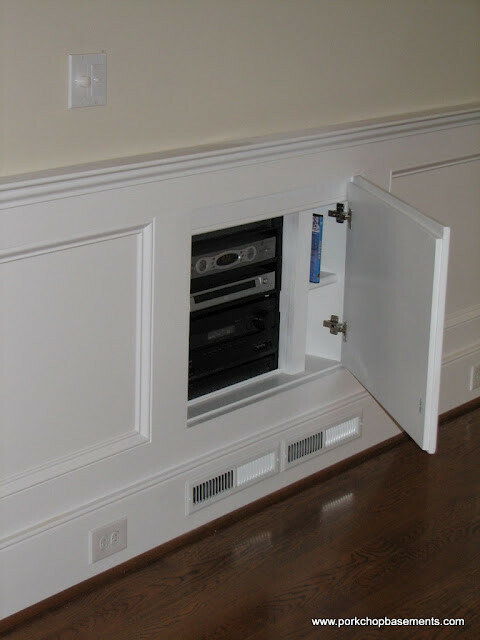 A recessed space behind wainscoting is a great hidden storage idea. Here it is being used to hide media equipment. To maintain an uncluttered design, utilize the space behind knee walls for storage. 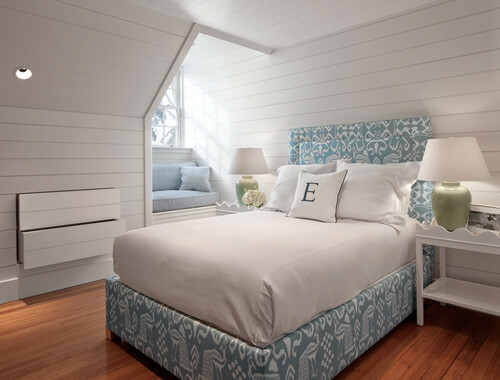 This small bedroom doesn’t need to lose space to chests or dressers. In-wall drawers save floor space while providing room for clothes. 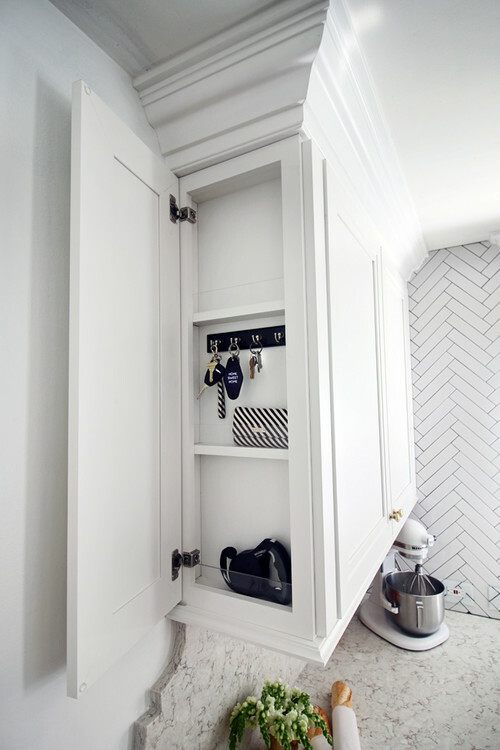 The end of a cabinet can be a great location for small items, such as keys and phones. If you have an end panel on your upper cabinets, consider converting the space behind the face frame into a narrow storage shelf. And finally, think about the space beneath the stairs. Each step has a wealth of unused space. By converting the riser into a drawer front, a great, little drawer can go in this location. A few hidden storage ideas that I have done myself, and that you may want to check out, are my false bottom drawer. It is a very easy DIY project.